Discovery Networks International is realigning its European operations into three business clusters. Henrik Ravn is set to leave the broadcaster. “Discovery Communications has achieved tremendous success outside the US by driving organic growth and complementing it with targeted acquisitions, most recently Eurosport International,” commented JB Perrette, president, Discovery Networks International. Dee Forbes, who has transformed Discovery’s business across mature markets in Western Europe by creating an innovative and high performing hybrid portfolio of free-to-air and pay-TV brands, will lead operations in the UK & Ireland, Nordics and Benelux, as President and Managing Director of Discovery Networks Northern Europe. Forbes will utilise her experience in the Nordics and close involvement in the SBS acquisition, which was the largest transaction in company history and increased its footprint from eight to 20 TV networks in the region with a top three market share ranking. Henrik Ravn, who has successfully managed Discovery’s operations in the Nordics since the acquisition of SBS in 2012, will step-down at the end of the year. Kasia Kieli will add Germany, Austria and Switzerland to her portfolio as President and Managing Director of Discovery Networks Central & Eastern Europe, Middle East and Africa (CEEMEA). Germany was the first Discovery market to launch a free-to-air channel business with the introduction of DMAX in 2006 and in April 2014, the launch of TLC further expanded its free-to-air portfolio with considerable success. Eurosport also operates in Germany, Austria and Switzerland as a free-to-air channel. Adding these markets to the portfolio and further establishing Munich as an important regional hub for the CEEMEA business will bring additional expertise of running free-to-air networks in markets with significant scale and opportunity to the region. Marinella Soldi becomes President and Managing Director of Discovery Networks Southern Europe by adding France to her current oversight of Italy, Spain and Portugal. 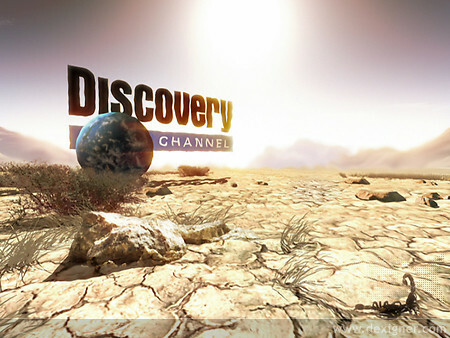 Under Soldi’s stewardship, Discovery has become the third biggest broadcaster in Italy and she successfully launched Discovery Max in Spain during the height of that country’s recession, a channel that has gained 3.3% market share amongst A25-44 in less than two years. In France, Discovery’s portfolio historically has been relatively small but following the acquisition of the majority control of Eurosport International which has its headquarters in Paris, France has become even more strategically important.